The above picture is of Wight Link's car ferry which runs between Portsmouth and Fishbourne on the Isle Of Wight. 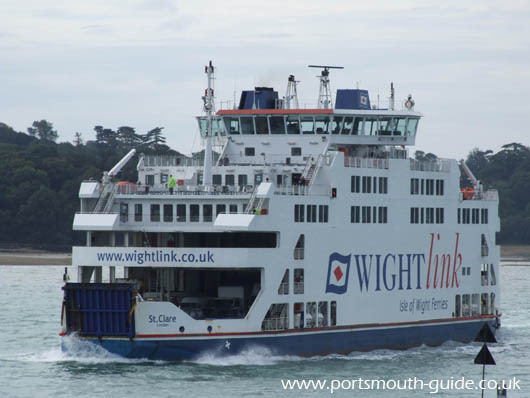 To travel from Portsmouth to the Isle of Wight you have the option of using either the Wight Link car ferry which lands at Fishbourne or the Catamaran which lands at Ryde. 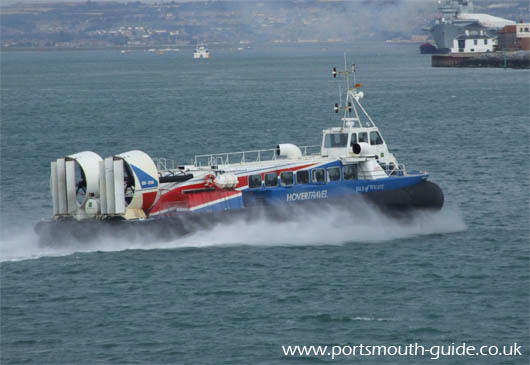 There is also a hovercraft which travels between Portsmouth and The Isle Of Wight. To travel to Gosport there is a ferry running very frequently between Portsmouth Harbour and Gosport. 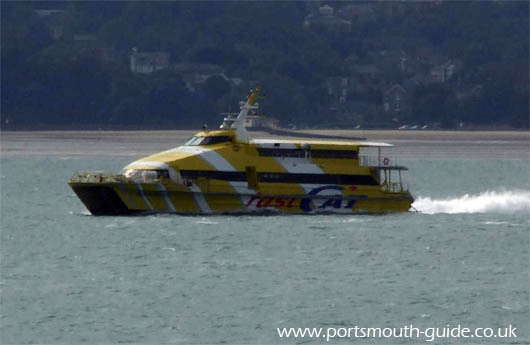 The picture below is of the Fast Cat which runs between Portsmouth and Ryde on the Isle Of Wight. 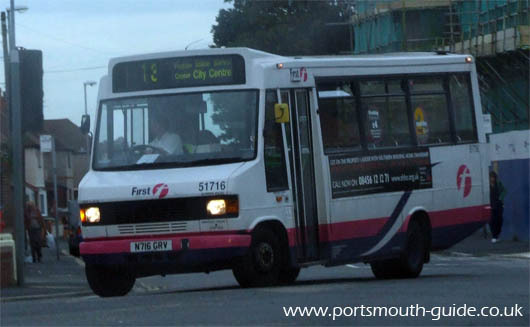 To travel round Portsmouth there are First buses and tour buses. There are various services around the city. The Hard Interchange is the terminus for many bus services and ferries. The above picture is of the hovercraft which runs to and from the Isle of Wight. The Hard Interchange is less than 2 minutes walk to the historic dockyard and Portsmouth Harbour railway station.